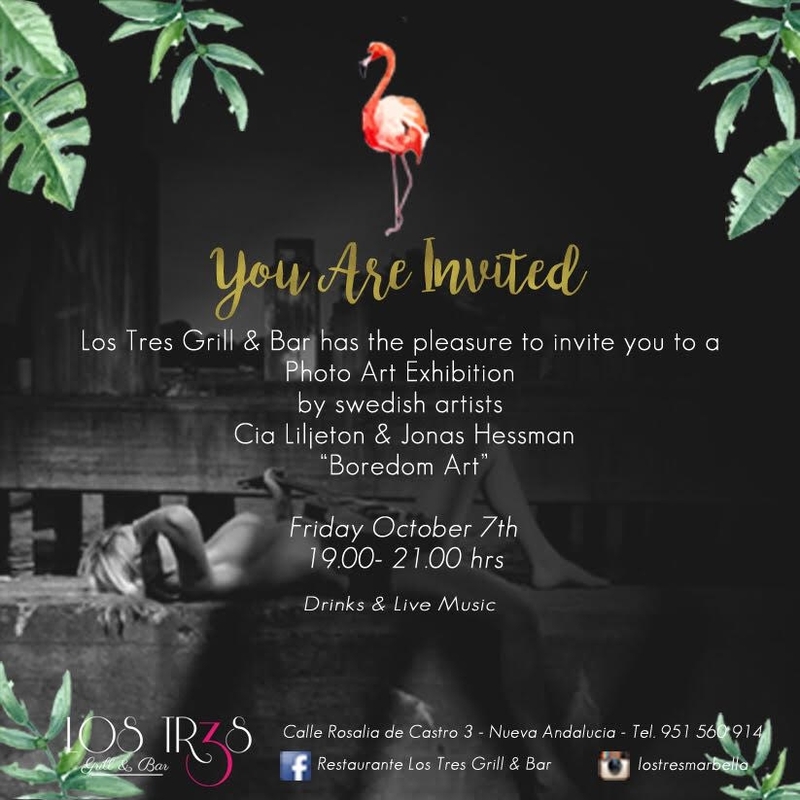 Enjoy the Photo Art Exhibition, listen to some great live music AND meet the Artist on Friday at Restaurante Los Tres Bar and Grill. It's super cool Photo Art by Swedish Artists Cia Liljeton & Jonas Hessman and Los Tres will also be serving drinks and delicious food during the event. No need to book just come along and join the party!